Belinda Phelps is a case manager with Cranfill Sumner & Hartzog, LLP in the Land Condemnation/Eminent Domain practice area. She brings more than 20 years of experience in different areas of law, including real estate and personal injury. Belinda was a legal assistant with the law firm of Bradley Arant Boult Cummings, LLP (BABC) in Nashville, TN where she assisted in complex commercial real estate transactions including development, acquisitions and dispositions of hospital systems, life insurance companies and major fuel and convenience store chains in multi-state transactions. Prior to her position at BABC, she worked as a real estate and civil litigation paralegal with the law firm of Connor, Bunn, Rogerson & Woodard, PLLC in Wilson, NC. 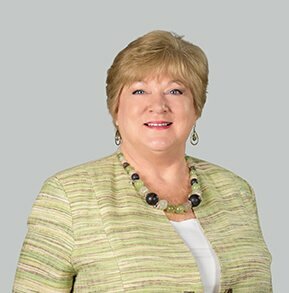 Belinda has experience in many aspects of the litigation process including drafting pleadings, document examination and management, deposition and trial preparation, and communicating with clients. Belinda also has worked as a documentation review specialist with Paragon Bank in Raleigh, NC and with Credit Risk Management, LLC (CRM). Her experience with CRM included providing evaluations of loan portfolio quality, verification of security interest perfection, and evaluation of compliance with bank’s written policies and regulatory laws. Belinda attended Wilson Community College in Wilson, NC and Johnston Community College in Smithfield, NC. In her personal time, Belinda enjoys travelling and spending time with her family. She has volunteered at God’s Helpers of Raleigh-Hallelujah Soup Kitchen for several years.